As I begin writing this I’m already thinking that after this #ZiHack edition, next year’s event should be themed… But I guess as eager as we are to hack again, it’s still too early to announce it. So for the moment, let’s focus on this year’s teams and apps, as we have some really cool things you need to find out! 13 apps, including one in partnership with the Ministry of Health! 3 photo booth pics/team + other groups arrangements, that’s over 350 photo booth pics! We could not keep count of the helium and hexafluoro balloons, but we assume it’s around 300 balloons each, and we have videos to prove it! Ever wanted to know people’s real emotions with just one look? Even when your girlfriend says nothing’s wrong, but you can see something’s def-i-nite-ly wrong?! Or when you host an event and want to know how your audience is feeling about it? 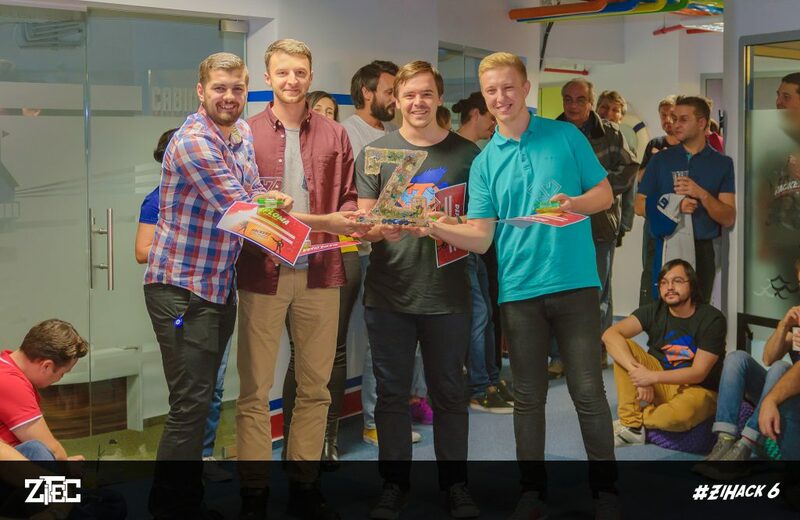 Well, thanks to the Mood Trackers team you can now access Moodz, this year’s #ZiHack Award winning team and get easy and real-time feedback. It’s an app based on face recognition that interprets and displays emotions on graphs and on snapshots received from the live video feed. You can read all about the technology the team used and how the app works on their submission page> Moodz || #ZiHack 6. Two very important apps built this year during the 6th Zitec internal programming marathon are dedicated to the Romanian people and tell you A. how much money you pay the state under which tax name and B. what are the cheapest generic drugs available that were prescribed to you. Same quality at a low-level price in an app built in partnership with the Ministry of Health. You will hear more about these apps as we are now waiting for a final design touch and plan on launching them for everyone to use them in their own benefit. In the meantime, you can check the submission pages> undesuntbaniitai.ro & Reteta la Control. A 1x1m custom wood table that uses an Arduino board and a Raspbery Pi3 to let you draw an image in the sand on its surface while using a metal ball moved by a magnet. All about the team’s challenges as well as their important accomplishments you will find on their submission page> Magnetica. Inspired by the Zitec team’s need of having a simple yet efficient application for offering (any kind) of feedback is what drove Amanet team to start this project. To find out how to build one app with no mobile developer in your team and how the Zeedback app looks, check its submission page> Zeedback. Not to anybody’s surprise, some of our ladies colleagues decided to work on some hands-on project, including a lot of sparkles, of course. So one of the team built an interactive Oujiba Board, enhanced it with pyrography and based it on a voice recognition feature that allows the High Spirit to understand the questions you’re asking and reply back. Please don’t upset it, it can become really nasty – take a look: Interactive Oujiba Board. 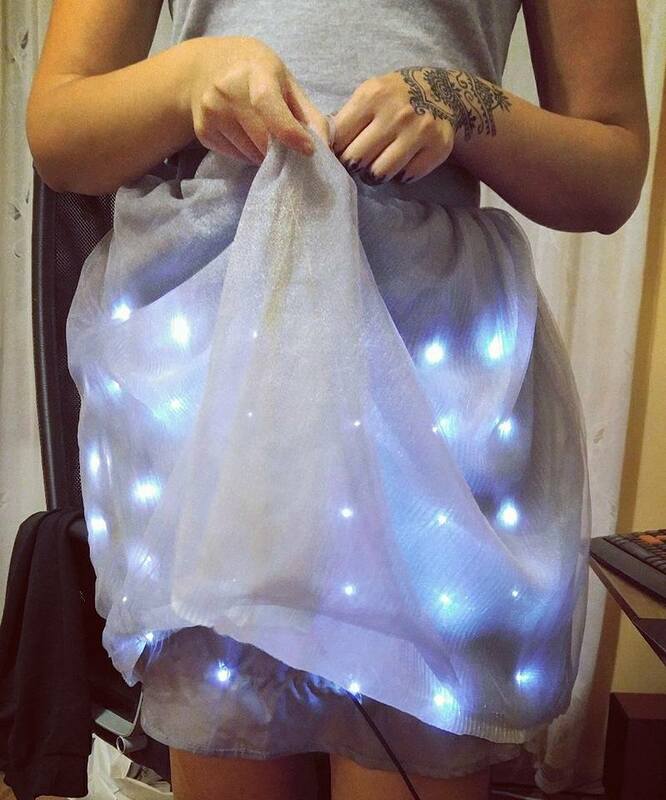 On the other hand, our two Mary’s went for a piece of wear tech – a sparkling skirt that lights up when it detects object around it, to be more precise! For more details on all the projects above and for the other apps, please consider visiting our devpost.com dedicated hackathon: #ZiHack 6. And let us know what’s your superpower! Also, for more pics and videos, even for a short 360 ZiBand live recording, please visit our Facebook page.